Winter can be hard when it comes to fashion. Going for the same outfit again and again. Wearing the same old jumper, jeans and trainers. I'm have been a sucker for this constant round about within the same outfit. Especially this particular outfit - minus accessories. Even thought I been wearing pretty much the same kind of things, there's ways I've been switching it up. These jeans are my most warm, most comfortable and most wearable jeans I own out of my entire wardrobe - more than my trusty black jeans! They have such a nice twist to your casual jeans that just go with everything! Especially a band tee - 30 Seconds To Mars of course. I love how they have the cut off frayed details around the ankles and just look so chic and flawless with any outfit! I constantly wear them with my Gucci belt, which is a statement in itself and goes with every outfit you could think of! Definitely a design accessory I was happy to pay full price for! As for my coat, I've had this for just over a year now and bagged it in the Boxing Day sales on ASOS in 2017, and it has had SO much wear, therefore has been my most worn coat I own. It's so warm, cosy and bright! I honestly love my bright coats, I only own one black coat surprisingly! 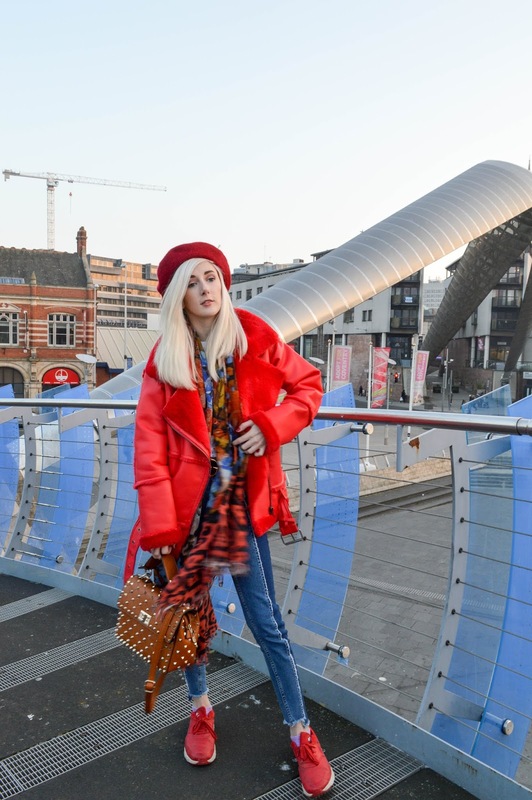 I mainly go for the bright and colour coats that surprisingly go with a lot of things I own! 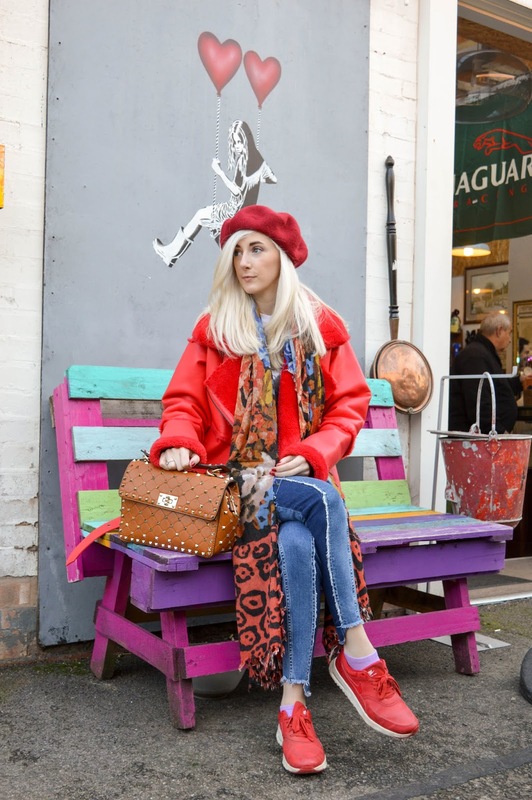 Of course, I had to match my coat to my shoe, as I always do when wearing this coat! Wearing the same things again and again can be boring, which is where the accessories step in and switch your game up! I wore a printed scarf for a change - switching the style game up here. 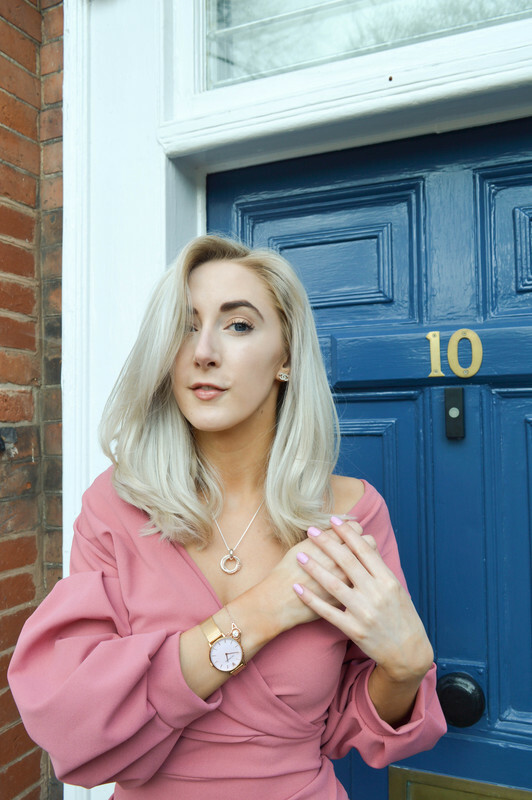 As I always tend to wear my long cosy camel scarf, so I wanted to inject some form of colour into my outfits for a change, as I keep wearing the same things, as a lot of us tend to do during the colder months! What pieces have you been constantly wearing during these colder days? Let me know in the comments below! Loving the band top, I need more band tops in my life. I've been living in my red coat (which desperately needs some tlc) and some form of boots most of winter. I love how coordinated your outfit is, and those jeans are very unique! I like how there's a darker denim down the sides of it. I'm constantly wearing my halterneck jumper dress as its just so comfy!